Experience turbocharged power behind the wheel of the 2019 GMC Terrain. Let the C-shaped LED headlights and available built-in navigation guide your journey as you enjoy smartphone connectivity features like Apple CarPlay™ and Android Auto™. Seat up to five passengers can settle in the spacious cabin, or you can utilize up to 63.3 cu. ft. of cargo space for all your gear. 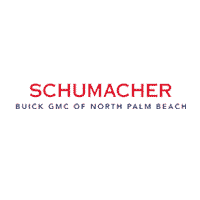 Test drive the 2019 GMC Terrain today in North Palm Beach, Florida.